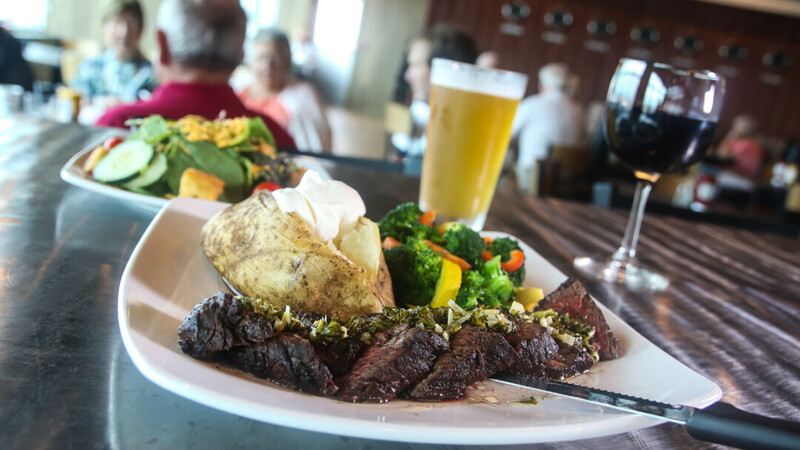 Enjoy made-from-scratch American classics in this upscale pub located at the Chippewa Valley Regional Airport. You’ll find an array of burgers, flatbread pizzas, steaks, a Friday fish fry, and an ever-changing array of specials, plus specialty drinks at the bar. Try the F-18 burger, Hangar Bombs, and the Hangar 54 Steak. Also features small and large banquet rooms for meetings or parties. This airplane-themed upscale pub is located at the Chippewa Valley Regional Airport. Expect an open and inviting atmosphere. Featuring unique, hand-crafted specialty cocktails, wines, tap and bottle beers, and spirits, great food, and big-screen TVs. Check out their unique Hangar Bloody with the works for a true experience. Closed Sundays.